Beetroot is a superfood due to amazing beetroot benefits and good nutrition values. It has good values of vitamins, minerals, and nutrients. The family of beetroot is Chenopodiaceous and also it contains sucrose. Beetroot uses as an alternative to sugarcane and also uses as a medicinal plant. It is low in calories and also has zero or negligible cholesterol value. It uses as a food colorant. Consuming beetroot or beet fights against many health disorders like- anemia, cancer, heart disease, liver health and more. Therefore, by adding beetroot to your diet and make yourself healthy. Beetroot contains a rich quantity of Iron which helps people against anemia disease. In anemia, a total number of red blood cells or hemoglobin in a body is too low. These red blood cells (RBC) or hemoglobin carry Oxygen to all tissues of the body. Deficiency of Iron is responsible for anemia and beetroot or beet provides a good quantity of Iron. So, consume beetroot or beet and add it to your diet. 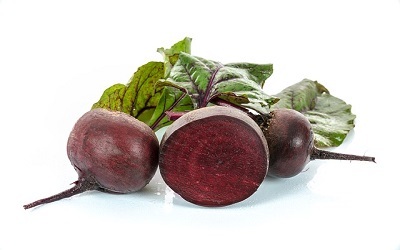 Beetroot or beet contains beta-carotene and beta-carotene help against blindness (cataract). Beta-carotene also helps against macular degeneration. Therefore, you can get healthy eyes by consuming a quantity of beetroot in your diet. As the age increases of people, Blood flow decreases to certain brain areas. And finally, cognition loss increases gradually due to the dementia problem. Researches show that consuming beetroot or beet juice boost oxygen supply to the brain and this oxygen supply slow the increment of dementia. Therefore, beetroot is very useful for old age people who dementia problem. Beetroot or beet contains chlorine, which is an important nutrient. Chlorine helps to manage cellular membrane structure and decreases chronic inflammation. So, you can get beetroot benefits, if consume ideal quantity in your diet. Beetroot or beet contains nitrate nutrient that converts into nitric oxide and nitrites. Both two component dilate arteries and result is lower high blood pressure. Pigment betacyanins present in beetroot or beet. This component fight against colon cancer, lung cancer, skin cancer. In meat nitrate used as a preservative. Nitrosamine compound formation takes place if we consume this meat. And nitrosamine compound can lead to cancer. If we consume beetroot juice then juice helps to decrease the cell mutation caused by these compounds. Calcium, betaine, vitamin B, antioxidants, and Iron present in beetroot. These nutrients play an important role in healthy health. Beetroot uses a thinner of bile. So, bile moves smoothly through the liver. Beetroot contains a good amount of fiber, and fiber helps to remove toxins from the liver. Zinc and copper compound of beetroot protect the cells of the liver. Essential amount of oxygen is necessary to work body function properly. Oxygen is necessary for a body to energize. Nitrate is present in beetroot and this nitrate compound enlarges arteries and oxygen easily moves throughout the body functions. And the body gets energized. Beetroot also contains Iron component that fights against fatigue and boosts stamina. By adding beetroot or beet vegetable in diet, you can fight against fatigue and low energy. Flavonoids, dietary fiber, and betacyanin present in beetroot. And this betacyanin antioxidant reduces the oxidation of LDL (low-density lipoprotein) cholesterol. Heart stroke and life-threatening heart attacks are protected by this important process. Therefore, beetroot is recommended by experts in daily routine due to bad cholesterol (LDL) lowering properties. Beetroot contains vitamin B folate and this folate essential to a pregnant woman. Folate keeps the strong body of pregnant women also the baby health. Folate helps properly formation of the spinal cord for unborn babies. Deficiency of folate can create many complications like natural tube defects. Urine may appear pink color due to beeturia. If you eat beetroot in excess then get beeturia. Consuming excess beetroot may increase gastrointestinal problems. An individual can get a kidney stone problem if you consume excess beetroot. Consuming excess beetroot may cause some allergies like- hives, itchiness, fever, and rashes. Finally, there are many amazing beetroot benefits if consume an ideal way. Consuming excess beetroot harmful to health. Thanks allot bc I was just wondering what was good for iron.